Vibration machines offer a way to workout quickly and efficiently without leaving your house. The vibration helps your muscles become stronger without putting too much pressure on your joints. Anyone can use these machines, which is one reason they are becoming more popular. You can even use them while sitting down! This makes them very helpful for those who are recovering from an injury or surgery and need to slowly get back into physical activity. If you are interested in buying one of the best vibration platforms to increase your athletic abilities or help you rehab from an injury, then consider the Pinty Crazy Fit Vibration Platform Machine. Why Buy the Pinty Fitness Crazy Fit Whole Body Shaper Vibration Machine? The Pinty Fitness Vibration Platform Machine is super thin and portable. It is only 5.5 inches thick so it easy to move and store in any room. It has non-skid feet on the bottom to provide stability. But there are also wheels so you can simply push it into a different space without having to lift it. 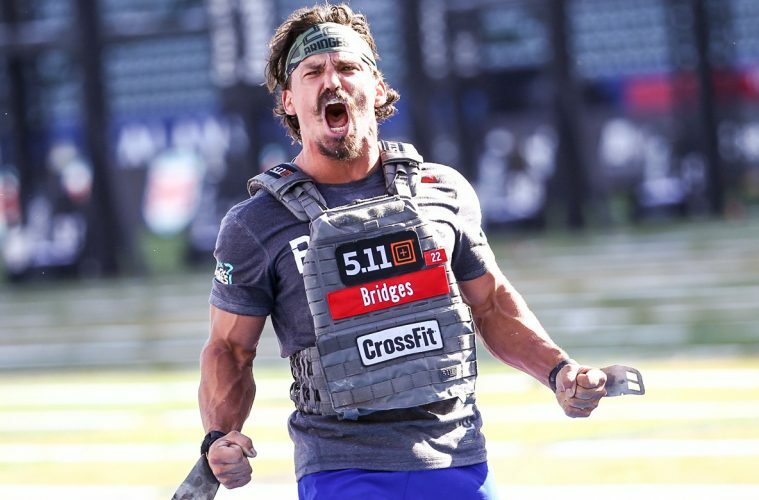 Even though the machine is so thin, it can still handle up to 265 pounds. It is also made with an ABS shell that provides extra durability and stability for such a small machine. If you are worried about the machine being too noisy, Pinty promises that it is super quiet. You can watch TV and even let a baby nap while you workout. The motor is powerful enough to provide 99 levels of vibrations, so you can easily find a comfortable level to use. 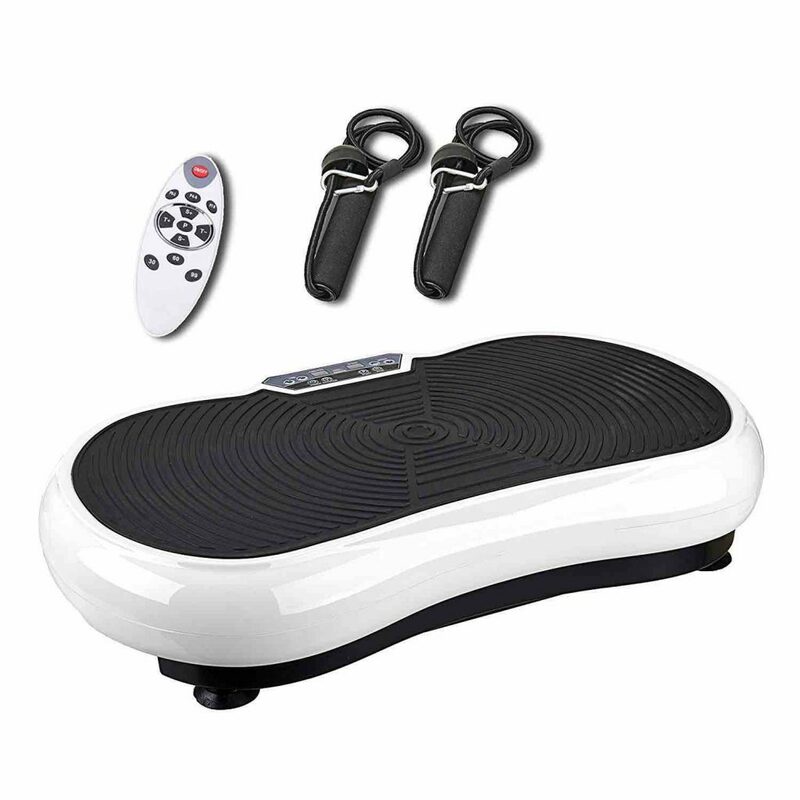 The Pinty Fitness Vibration Platform Machine comes with a remote control so you can easily adjust levels while on the machine. The display shows the speed, time on the machine and how much fat you have burned during the session. The Pinty Fitness Vibration Platform Machine comes with two resistance bands to help you get a full body workout. You can use the bands for upper body work so you can strengthen your shoulders, arms and chest. Since the unit does not come with handles or a stand, you can easily lay or sit on the unit to get a great core and lower body workout as well. This machine is also great for working on balance since there are no handles. Use the provided bands at first and then work your way until you can stand and squat on the machine with no help. If you are injured or recovering from an illness, then you can use the machine for passive exercise as well. (link here) While you will not get all the weight loss benefits of a full workout, you will still be able to relieve pain, stimulate circulation and lose some weight. This is a great way to get back into an active lifestyle or for those who cannot be active and need help sleeping or reducing swelling. 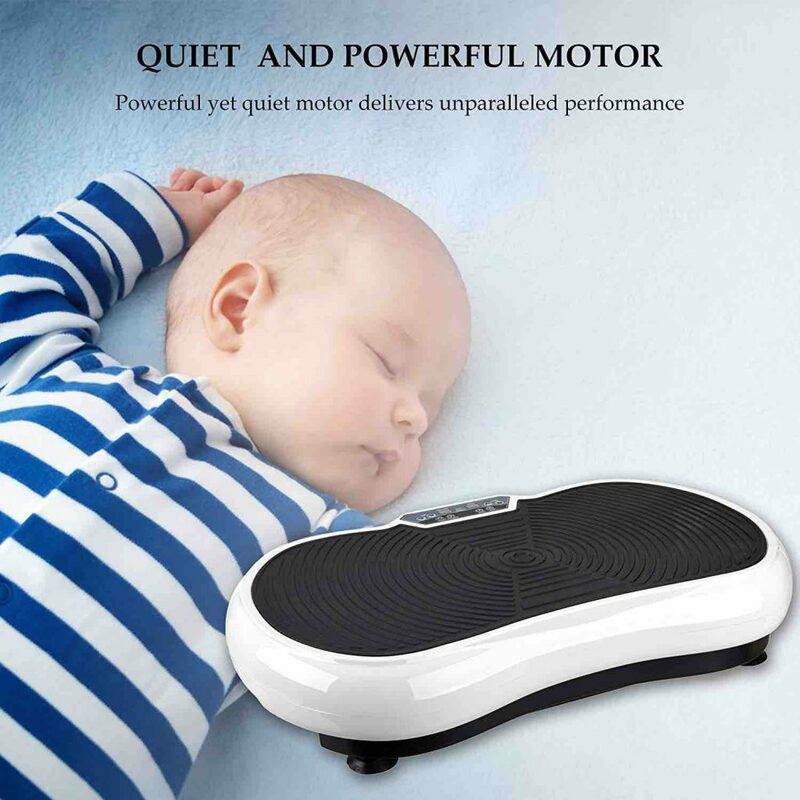 The Pinty Fitness Crazy Fit Vibration Platform Machine is a great portable model for those who want to use a vibration machine at home. It is the thinnest model we have seen, so that should make storage and portability very easy. The unit still offers a high weight load and comes with detachable resistance bands to get an even better workout. The resistance bands can easily be taken off and stored, which also means you can quickly stash this away before guests arrive. The quiet motor is a bonus. This is perfect for someone who has a baby or lives in a small space. No one will be disturbed while you exercise or work on rehabbing your body.